As you walk through the journey of life, your life is in a chronicle that demonstrates the history behind your stories whether in the right path or in the wrong path of life toward a certain purpose. Everybody has a common desire which is the ability to own self-will and to own right to his/her right without been oppress by anyone else. 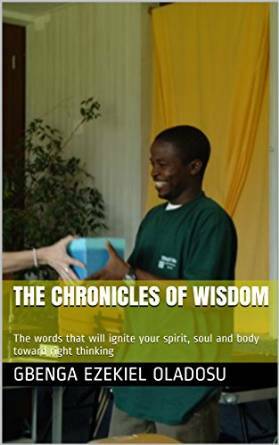 Reading through the chronicles of wisdom will open your inner mind and your inner eyes for a right and good relationship with the spheres of your influence to the kind of life your desire. Hey, everybody long for freedom, everybody long for happiness, everybody long for a good and perfect relationship that will enhance good communication skills between community of people group. Remember that you own your right that is not equal to anybody else, that’s why you are created differently by God.